Will Bosnian protests be the final straw for the Dayton accords? 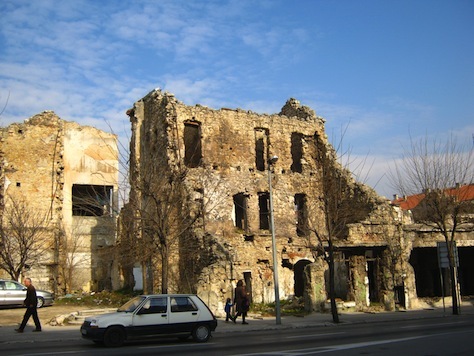 The Dayton accords ended the conflict among Bosnian Muslims, Serbs and Croats in Bosnia and Herzegovina in 1995, and established a nearly unworkable tripartite system of governance for the country of Bosnia and Herzegovina. Though the structure established by the Dayton accords was always meant to be temporary, the country is crumbling nearly 20 years later under the weight of corruption, a stagnant economy, massive unemployment and the ridiculous state of tripartite government at the national level, with another layer of governance within the two subunits that comprise the country the (confusingly named) Federation of Bosnia and Herzegovina, home to most of the country’s Bosnian Muslims and Croats, and the Republika Srpska, home to most of the country’s Serbs. 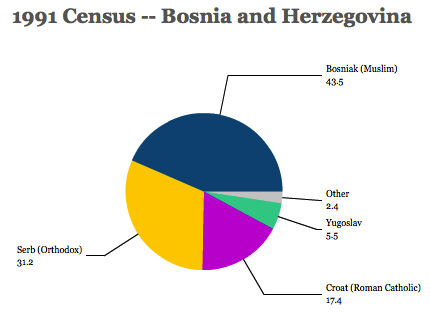 Within the Federation of Bosnia and Herzegovina, arguably more political power rests within 10 sub-sub-national cantons. Moreover, the High Representative, an internationally appointed officer designated to oversee the Dayton process, now undermines whatever legitimacy the central and subnational governments have. Protests provide some glimmer of hope that everyday Bosnians from all ethnic groups are ready to jettison the Dayton system for a more workable model of governance. The protests began in Tuzla earlier this month over job losses resulting from the privatization of local businesses. But the protests took on a national character after the protests turned violent, and they’ve now moved from Tuzla and other cities to Sarajevo, the capital. Since the protests began, at least three of the canton-level prime ministers have resigned, including in Tuzla and in Sarajevo. Though Bosniaks (and not Croats and Serbs) are mostly leading the protests, the problems they are highlighting are just as dire for the country’s other ethnic communities. It’s not coincidence that the current protests are taking place simultaneous to the process of the first census in the country’s post-independence history, the results of which could fundamentally shift political reality in the county. Preliminary results show that the population fell from 4.4 million in 1991 to 3.8 million today, a significant drop. If the Croat population falls below 10%, for example, or if it’s dispersed much beyond Herzegovina and western Bosnia, it will undermine the political status of Croatians and the possibility of a third Croat-based entity. If Serbs comprise even more of the Republika Srpska, for example, does it mean that its leadership will push for independence? So if any country needs a restart, it’s Bosnia and Herzegovina, where the Dayton Accords have perpetuated a system of patronage and corruption that’s effected in triplicate. For nearly twenty years, Bosnians and Herzegovinians have suffered under the administration of a vicious cabal of political oligarchs who have used ethno-nationalist rhetoric to obscure the plunder of BiH’s public coffers. The official unemployment rate has remained frozen for years at around 40 percent, while the number is above 57 percent among youth. Shady privatisation schemes have dismantled what were once flourishing industries in Tuzla and Zenica, sold them off for parts, and left thousands of workers destitute, with many still owed thousands of dollars in back-pay. Pensions are miserly too; the sight of seniors digging through waste bins is a regular one in every part of the country, while the wages of BiH’s armies of bureaucrats and elected officials have only grown. After the general elections in 2010, it took sixteen months for a state government to be formed, one which collapsed almost immediately thereafter. Since then, on the rare occasion that Parliamentary sessions have actually been held, the members of this body have mostly concerned themselves with calling for the ouster of their political opponents. Zivko Budimir, for instance, the president of the Federation entity, was arrested in April of last year on suspicions of corruption and bribery. He was released shortly thereafter for “lack of evidence” and has since returned to his post. 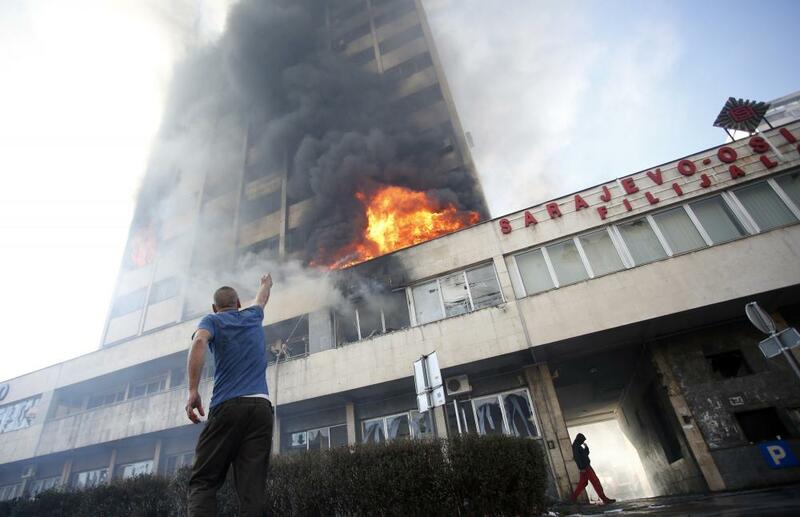 As Sarajevo burnt on Friday, Budimir declared that he would resign if the people insisted – apparently refusing to look out his window as he spoke. Since 2008, the country has struggled with low growth and contraction. As of July 2013, the unemployment rate was 44.6%, and its GDP per capita fell behind every country in the region except Kosovo (including Albania, Serbia, and Macedonia). ethnicity-based corruption and inefficiency plague state-owned enterprises, and when (or if) they’re privatized, it’s done in the most disruptive (and often corrupt) manner possible. So it’s no wonder that everyday Bosnians are angry. Two parties in the governing coalition have already called for snap elections, which were already scheduled for October of this year.